The cryptocurrency market finished a disastrous week on a low note on Friday, with most major currencies trading down on the day. Here’s a look at some of the headlines that were moving the cryptocurrency market this week and which currencies were on the move. Cryptocurrency markets experienced extreme volatility this week related to a contentious hard fork in Bitcoin Cash on Thursday. Disagreements about the latest Bitcoin Cash software upgrade and confusion about how it would impact the futures market resulted in a “crypto civil war.” Heavy selling triggered stop loss orders, sending cryptocurrencies down across the board and bitcoin to new 52-week lows below $6,000. On Thursday, Fundstrat Global Advisor analyst Rob Sluymer said the technical breakdown that occurred in bitcoin’s chart this week will take “weeks if not months to repair.” Bitcoin prices dipped below $5,600 for the first time since October 2017, and the world’s largest and most popular cryptocurrency finished the week down 58.5 percent year-to-date. While the attention was on bitcoin and bitcoin cash this week, Ripple’s cryptocurrency XRP passed bitcoin alternative Ethereum as the world’s second most valuable crypto by market cap. Ethereum’s value plummeted 38.6 percent in the past three months, dropping its market cap to $18.1 billion. XRP’s value rose 61.1 percent in that same period, pushing its market cap to $18.7 billion. 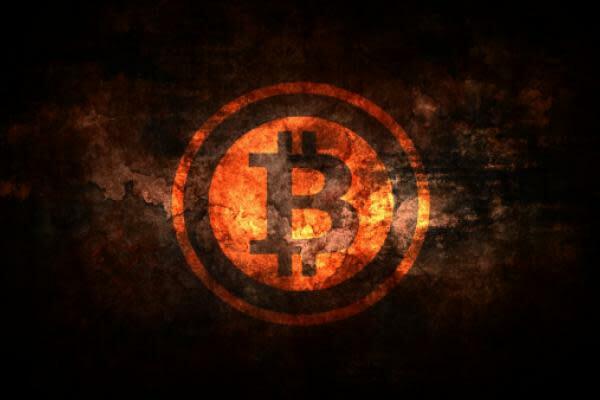 The Bitcoin Investment Trust (OTC: GBTC) closed at $6.05, down 15.7 percent for the week. Here’s how several top crypto investments fared this week. Prices are as of 3:45 p.m. ET and reflect the previous seven days. Stellar declined 7 percent to 23 cents. dietbitcoin: $2-million market cap, 2,313,2-percent gain. Nasdacoin: $60-million market cap, 459.6-percent gain. Dimecoin: $19.6-million market cap, 239.3-percent gain. NewYorkCoin: $1.1-million market cap, 64.8-percent decline. Cashbery Coin: $1.2-million market cap, 54.4-percent decline. CoinToGo: $1.1-million market cap, 51.6-percent decline. Does Endeavour Silver Corp. (TSE:EDR) Have A Volatile Share Price?